Smoky and sweet - the smell alone will get them to the table. 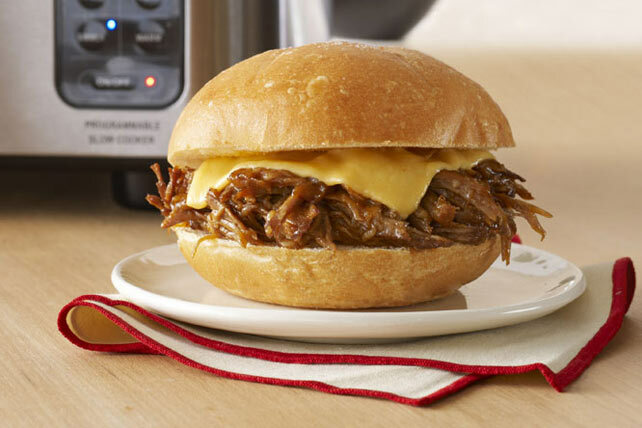 Remove meat from slow cooker; cut off and discard excess fat. Chop meat into small pieces or shred with fork. Return to slow cooker; stir until evenly coated with sauce. Fill buns with meat mixture and Kraft Singles just before serving. Prepare as directed using your favourite flavour of Kraft BBQ Sauce.